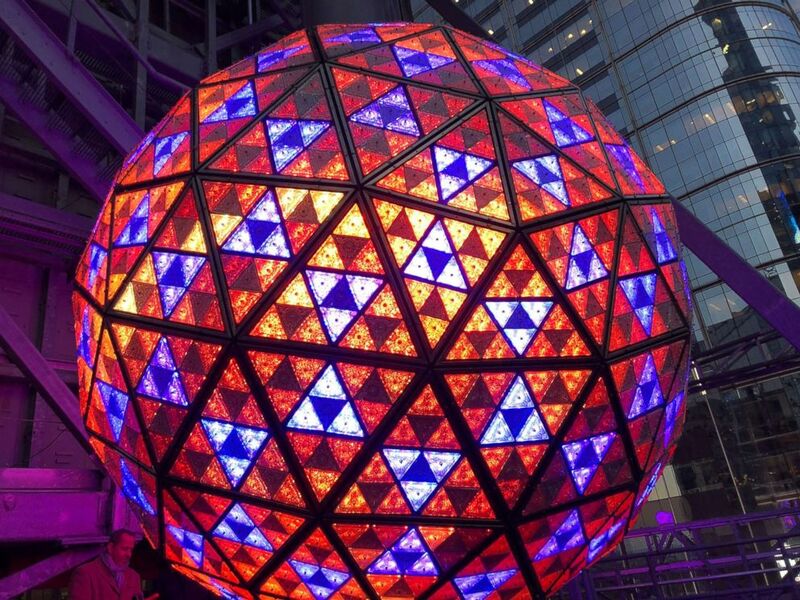 When the New Year’s Eve ball drops from its perch atop One Times Square in New York City on Sunday, 2,688 Waterford Crystal triangles will shimmer and glow, welcoming in 2018 to the millions of people watching from below and on TV. From a distance, the ball looks tiny, miniature. But up close it’s a crystal behemoth, weighing nearly 12,000 pounds. For weeks Waterford engineers and artisans have been testing and re-testing the ball to make sure the drop goes smoothly. 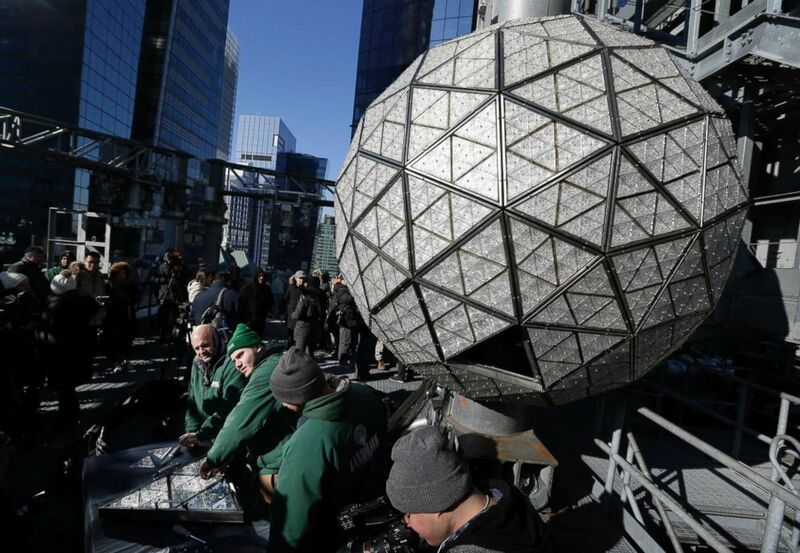 Workers prepare to install the last panels on the New Year's Eve ball above Times Square, New York, Dec. 27, 2017. 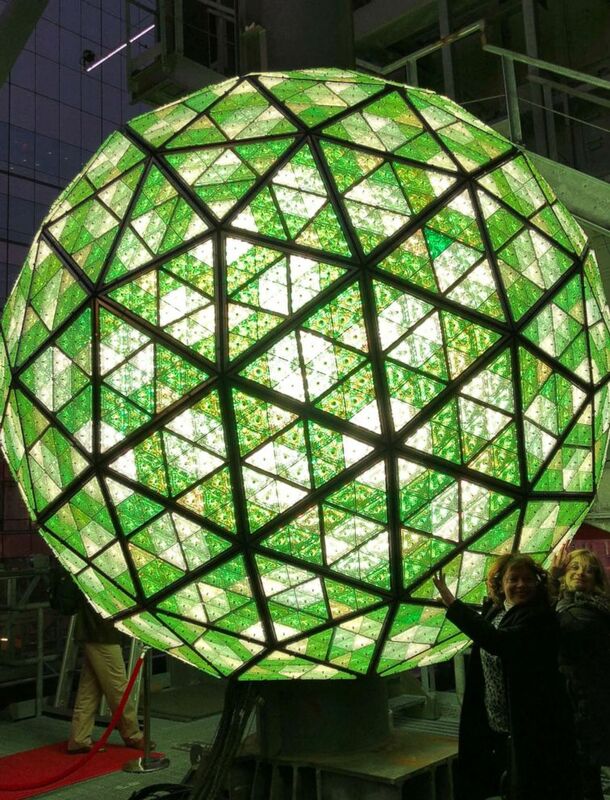 The 12-foot diameter ball carries over 2600 Waterford crystals and is lit by more than 32,000 LEDs. The Waterford Crystal ball is lit before it is installed ahead of New Year's Eve in Times Square, New York, Dec. 27, 2017. This year’s theme is serenity, and 288 new panels designed to look like intertwining butterflies have been installed. “We are trying to pass along the idea of tranquility, peace and calm to everyone,” Michael Craig of Fiskars Living Americas said. The panels can withstand extreme heat and cold, and they never crack or chip, Brennan said. They are not, however, crafted from a specialized crystal. “This is the same crystal you have at home that your mom fell in love with, that you use every single day,” he noted. Waterford first teamed up with Times Square Alliance, the organization that co-produces the Times Square New Year's Eve celebration, in 1999. Before Waterford’s involvement, the ball was “just light bulbs and iron skin,” Craig said. 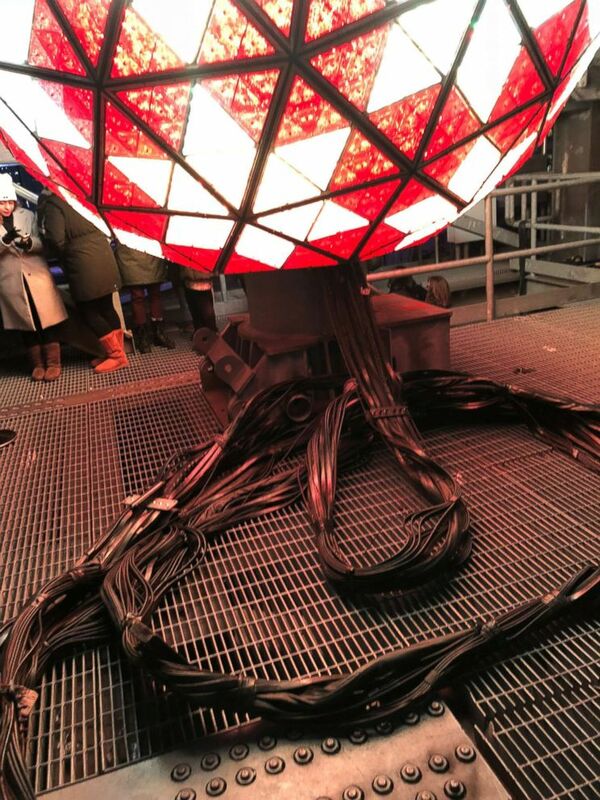 Cables lay on the ground under the Waterford Crystal ball during a testing of the lights in Times Square, New York, Dec. 27, 2017, ahead of the New Year's Eve celebration. 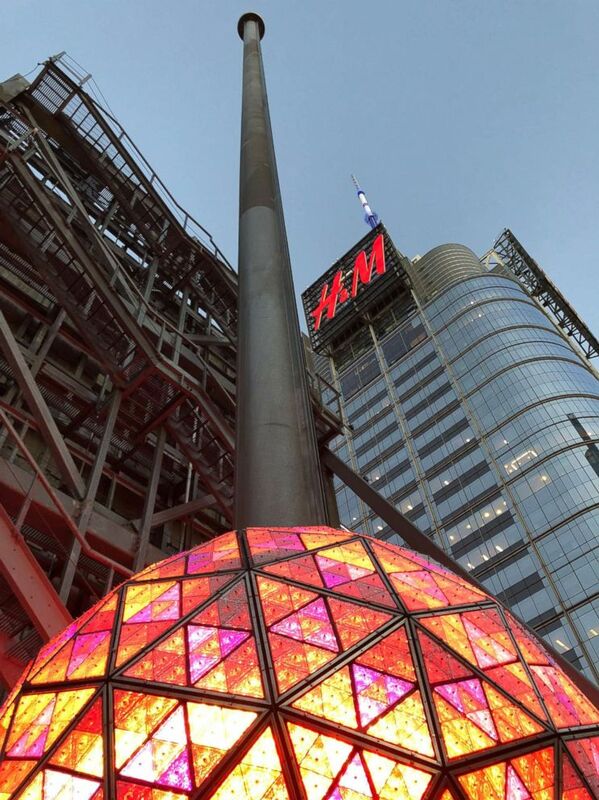 The ball is lit and in place above Times Square in New York, Dec. 27, 2017 ahead of New Year's Eve celebrations. And “the big sphere in the sky” never leaves its post. 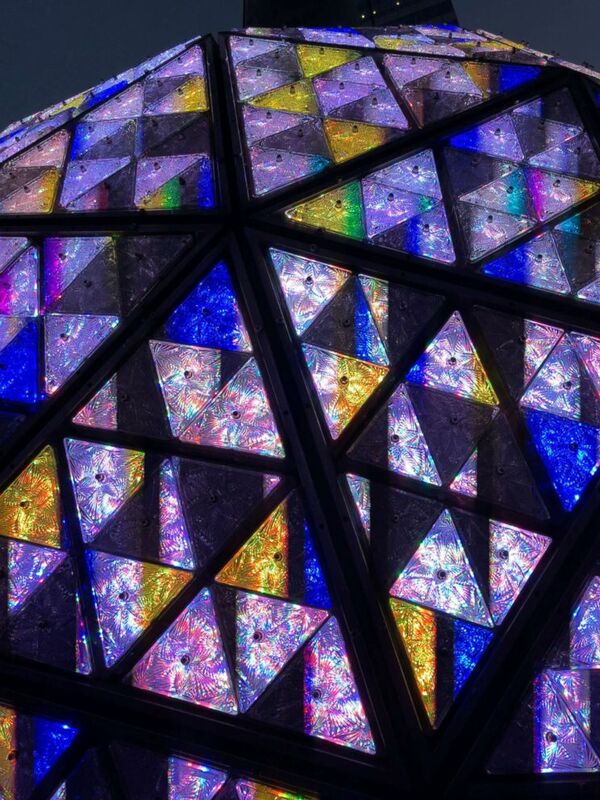 The ball towers above Times Square 365 days a year. The triangular panels vary in size and range in length from 4.75 inches to 5.75 inches per side. The triangles are bolted to 672 LED modules which are attached to the aluminum frame of the ball. The first New Year’s Eve ball celebration atop One Times Square took place in 1907.